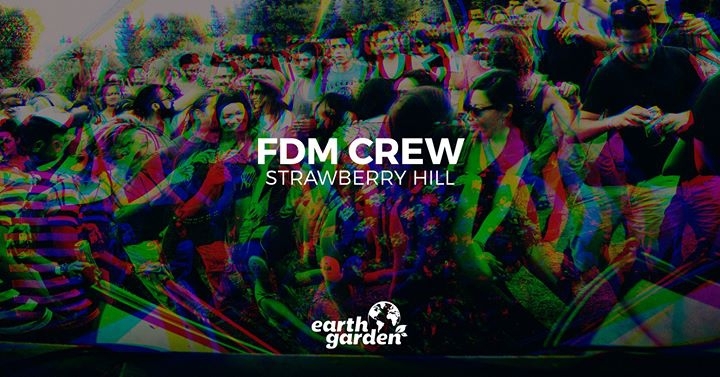 Earth Garden - FDM CREW Take Over! We are proud to announce that this year we will be part of Earth Garden for the first time ever and shall be taking over the Strawberry Hill Stage (Where the Electronic Sphere use to be situated) on Friday 2nd from 17:00 - 01:00. Since this is a very special moment for us we tought we'd go ahead and make it even better by inviting over a good friend of ours and an even better Jungle / Drum N Bass Artist from the UK... This is ofcourse none other than... BLAZIN'! show up and have a good old fashion rave under the Sun and Stars with us at this amazing festival X More info below! OUTLOOK FESTIVAL & WARNING resident BLAZIN' is one of the few DJ's in the Drum & Bass and Jungle scene getting booked to play on the main stage at the biggest events worldwide entirely for his skills on the decks. He got his first club booking at the age of 19 in the 1500 capacity Dance Academy and was one of the first DJs in the dnb scene to start mixing on 3 decks. In 2004 he won a live DJ competition in London judged by top DJ agents, artists and producers from the scene: 'An original 3 deck mix with a great selection of tearing tunes'. Following this he was invited to join the RANDOM CONCEPT ACADEMY which showcased the best new artists the drum & bass scene had to offer at some of the biggest venues across the UK. He was also given a main room residency at the multi-award winning WARNING, arguably the longest running drum & bass club event in the world; winner of Best Promoter at the NATIONAL DRUM & BASS AWARDS 2012, Best Club Night at the NATIONAL DRUM & BASS AWARDS 2013 and multiple nominations for DRUM & BASSS ARENA AWARDS over the years. BLAZIN' is one of the OUTLOOK DJ's and performs at annual launch parties in the most prestigious underground music venues across the globe. He has performed alongside THE JUNGLE DRUMMER multiple times in Europe, he's the DJ for legendary UK rapper SKINNYMAN & aside from OUTLOOK he's performed at festivals including GLASTONBURY, READING, V, GLOBAL GATHERING, NASS, BOARDMASTERS & BOOM BAP.